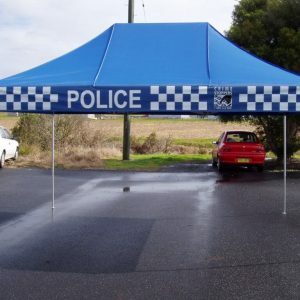 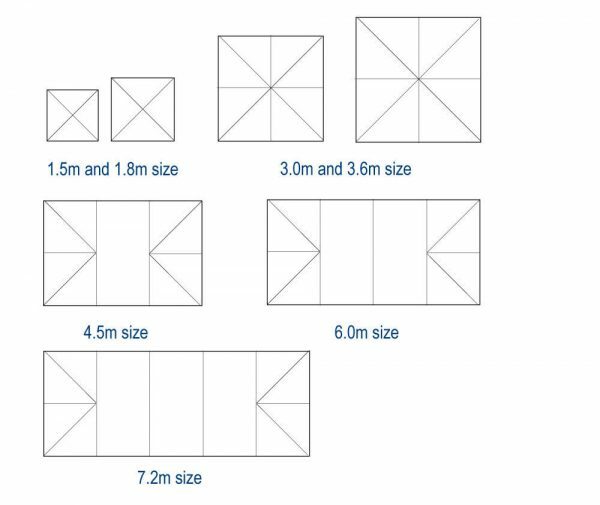 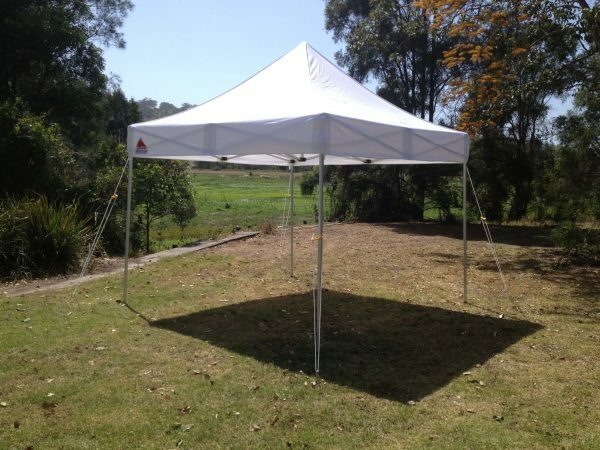 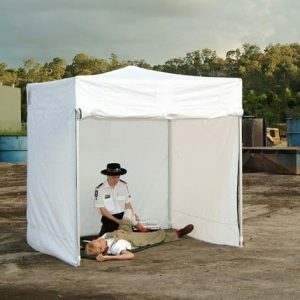 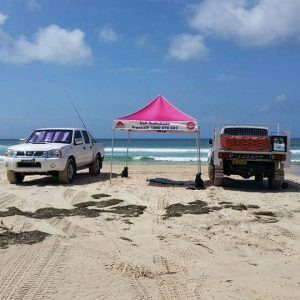 The 2.4m x 2.4m size is ideal for families, camping, and as a more compact/smaller market stall. 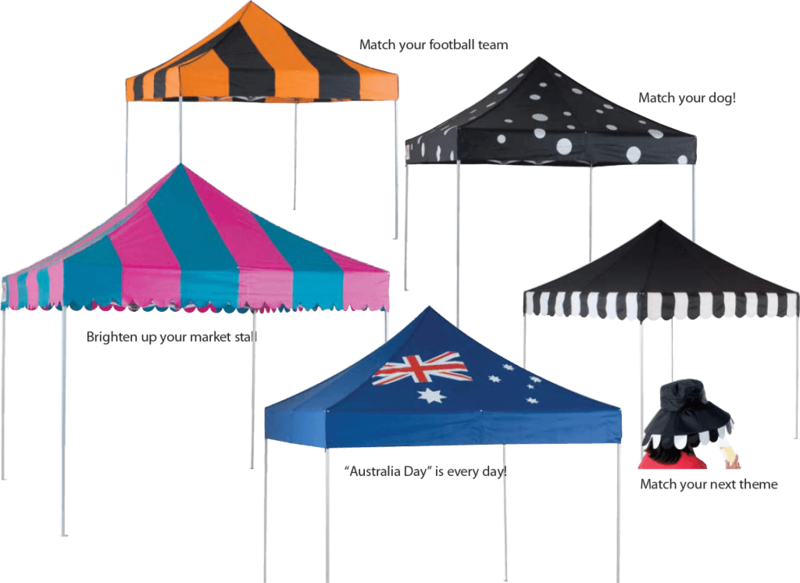 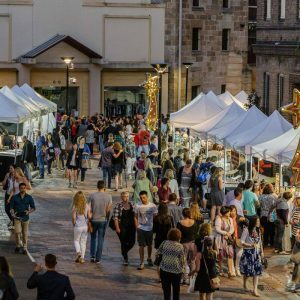 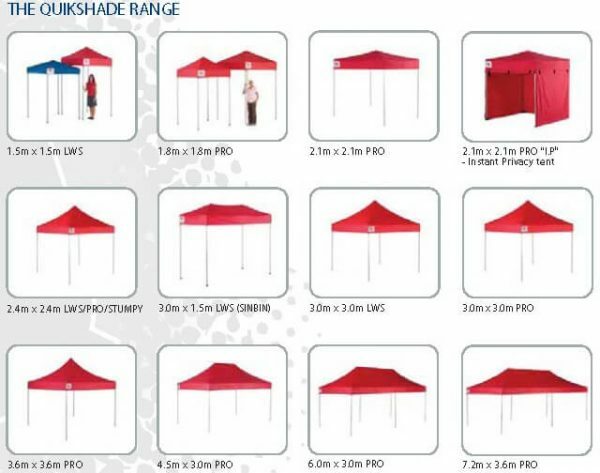 The Rocks Markets in Sydney uses predominately 2.4m Pro QuikShades. 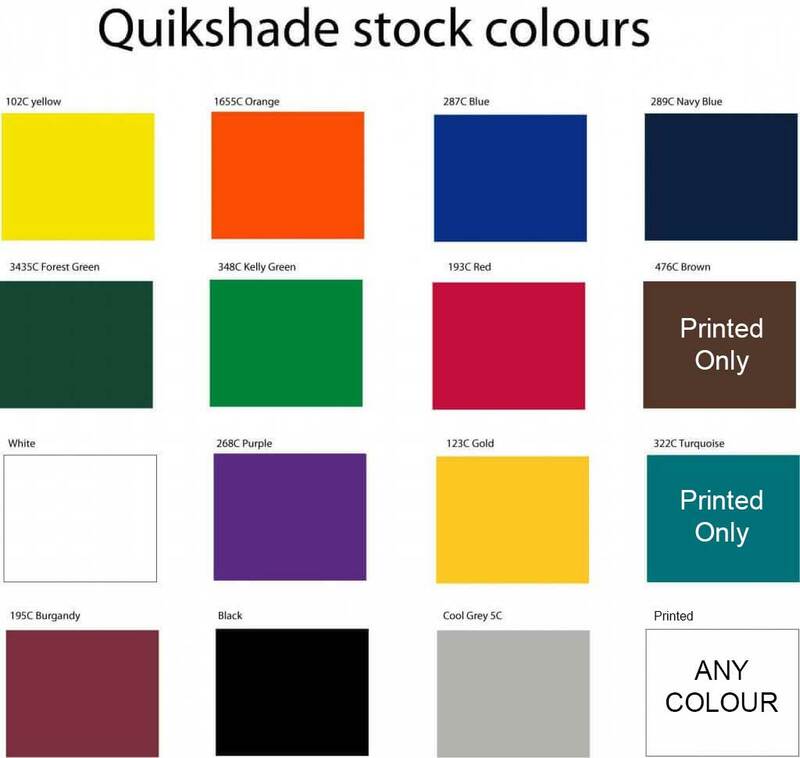 The High Peak assists in water run-off and creates a larger area for branding and printing. Additional side posts are available on this unit, including walls, etc. 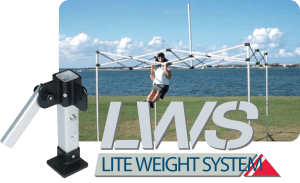 The LWS still has a 20 year limited lifetime frame warranty.